The Pampers-to-Gillette maker’s sales grew 3 pct in the second quarter. But that’s in spite of continued attrition in its grooming division. P&G is selling more blades but making less money. As activist Nelson Peltz joins the board, P&G’s razors look increasingly disposable. 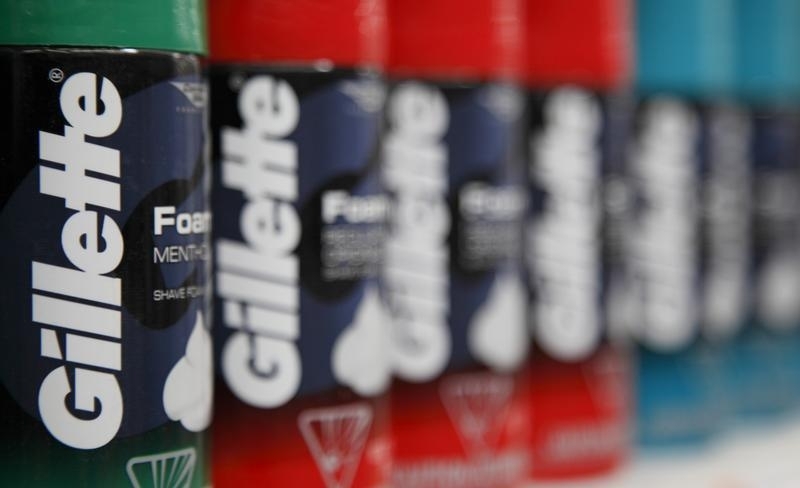 Procter & Gamble's Gillette shaving foam can be seen on display at a new Wal-Mart store in Chicago, January 24, 2012. Procter & Gamble said on Jan. 23 that it made $17.4 billion of revenue in the second quarter of its 2018 fiscal year, an increase of 3 percent from a year earlier. Diluted earnings per share of 93 cents declined 68 percent year on year, but increased 10 percent to $1.19 a share after stripping out one-off items. Analysts were expecting earnings per share of $1.14, according to Thomson Reuters I/B/E/S estimates. The company’s grooming division continued to be its worst performing business over the period. Its organic sales, which exclude acquisitions, disposals and currency moves, declined 3 percent over the quarter, despite higher volumes. The company’s beauty division grew 9 percent in the quarter.